What is long tail keywords search engine optimization? 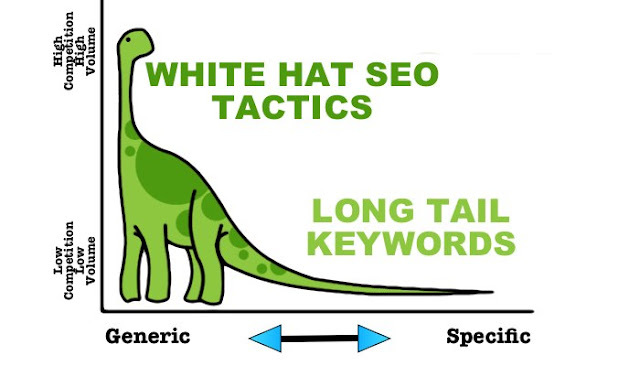 And how will long tail keywords seo help your internet business? The theory is simple really. You can make just as much money or maybe more out of the less clicked keywords than the more popular keywords for your given product or service. Although this may have not been feasible some years ago, with the advance in many keyword and analytical software programs, it is now possible. So let's examine the theory a little more. The premise is that by knowing many or even all of the keywords and phrases that bring in say 20 to 30 percent of your traffic, you can capitalize on this by meshing or organizing these keywords together which then leads to a snowball effect on the search engines and creates many more rankings. As you build more and more of these keyword pages or blog postings, your incoming traffic will start to climb and within a given period of time, 50 or 60 percent of your traffic can be supplied through these many additional higher rankings or long tail optimized keywords and phrases. Such a shift away from having to compete with many other websites in your business field does and will bring many benefits. 1. The option of removing the use of some advertising completely. 2. The option of minimizing some advertising and campaigns. 3. The option of scaling down search engine optimization campaigns. 4. Due to the expansion of keywords and phrases, the option to add additional and or up-sell products. 5. With more pages, the use or larger use of monetized advertising could be used. i.e. Google Adsense. This is by far a minimum list of all the benefits that such a long tail campaign may bring however the main points being reduction in costs and increase in profits. Combine this with the current low prices of placing new material online and the minimal fees required to have new content written in economically growing countries, you have a very cost effective marketing plan. Lastly, one of the main focal points or benefits of such a campaign would be the major search engines themselves. Constantly scrapping over high targeted keywords, is off course accepted by the search engines, as long as you always stay within their rules and requirements. What the search engines do actually love is on topic, keyword rich content pages and lots of them! Submitting many of these long tail” keyword pages will then lead to many first page rankings, thus helping your whole website via the downward flow of a higher ranking score. In turn, this helps all pages, even those that have a high level of competition and may have previously required search engine optimization. At the end of the day, a very well thought out SEO marketing campaign is about utilizing all options available for maximum return. For your business, long tail search engine optimization may just be one of those options. 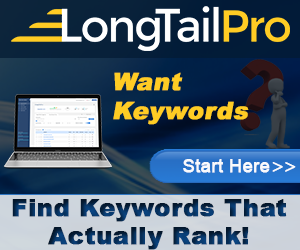 Use Long Tail Pro’s step-by-step system to discover thousands of profitable, targeted keywords and calculate Keyword Competitiveness for almost any niche! Free Trial Here.